Like most compact sedan derivatives of hatchbacks, the Tigor is nearly identical to the Tiago until the B-pillar. The Tigor gets double barrel headlamps with projector units and black inserts. The front bumper is identical to the one the Tiago gets. Bits like the air dam and fog lamp housing are same. Overall, thanks to the blackened headlamps and projector units, the nose of the Tigor looks sportier than that of the Tiago. Things change dramatically as you move past the B-Pillar. Calling the Tigor’s boot stubby will be an understatement. The rear windshield flows down into a discreet lip spoiler. There are split tail lamps at the back that feature LED detailing. The reflector units and a single reverse light have been placed in the bumper, which also features a thick black insert that helps break the monotony. Other notable design elements include a subtle roof spoiler that houses a full length secondary stop lamp. Designers have also added some chrome garnish to the boot lid and window area. 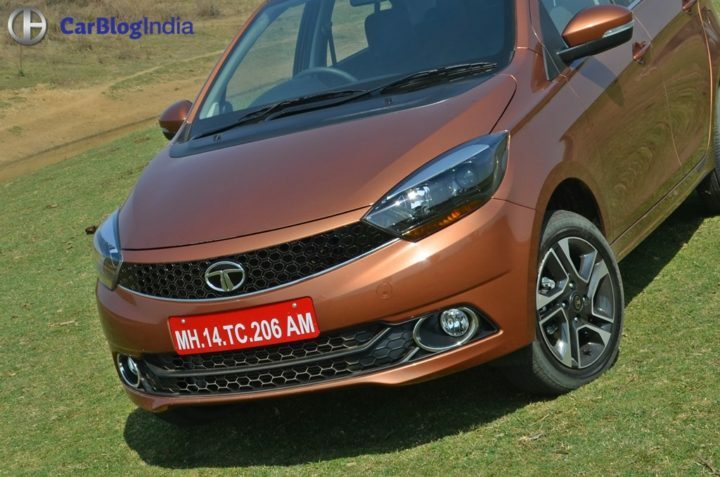 Tata’s design team has adopted a rather unconventional approach when it comes to styling the Tigor. 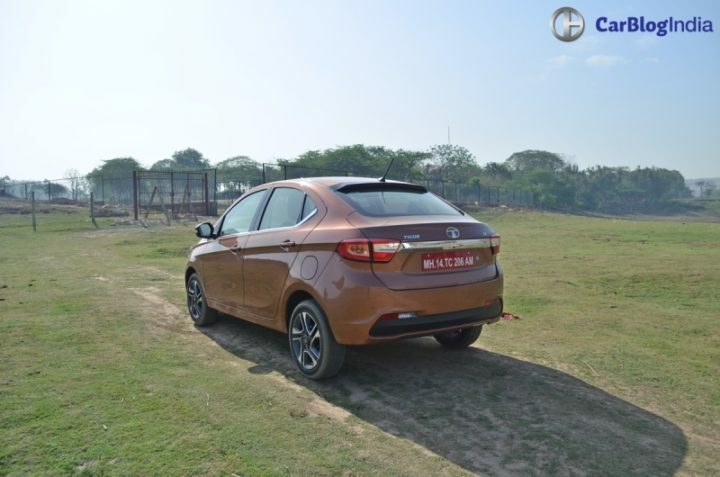 First impressions suggest their approach has paid off handsomely as the Tigor definitely looks stylish. However, we will have to wait until the car goes on sale to find out of the Indian public likes it or not. 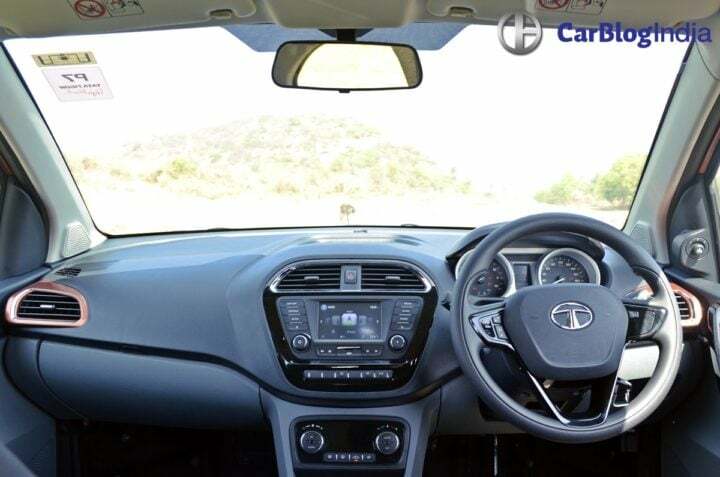 On the inside, the dashboard is nearly identical to the Tiago’s. However, there are a few additions here in terms of features. The Tigor gets a slightly larger 5 inch touchscreen display, unlike the hatchback’s non-touch colour display. Also, in the top end trims, the manual aircon controls have been replaced by auto aircon controls. We are yet to see the car in flesh so can’t comment on the interior space and boot space. 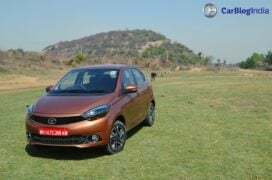 The images you see here are of the Tata Tigor Geneva Edition. So, the contrast stitching on the seats and the body colour highlights could be given a miss on the production-spec Tigor. The Tigor will be powered by the same engines as the Tiago. Which means it will feature a 1.2 L Petro and 1.05 L Diesel. A 5-speed manual transmission option will be offered as standard. However, whether the Tigor gets the 5-speed AMT from Tiago remains to be seen. Expect the Tata Tigor price range to start at Rs 4.20-4.5- lakh. The price of the top-end Diesel model will be nearly Rs 6 lakh. 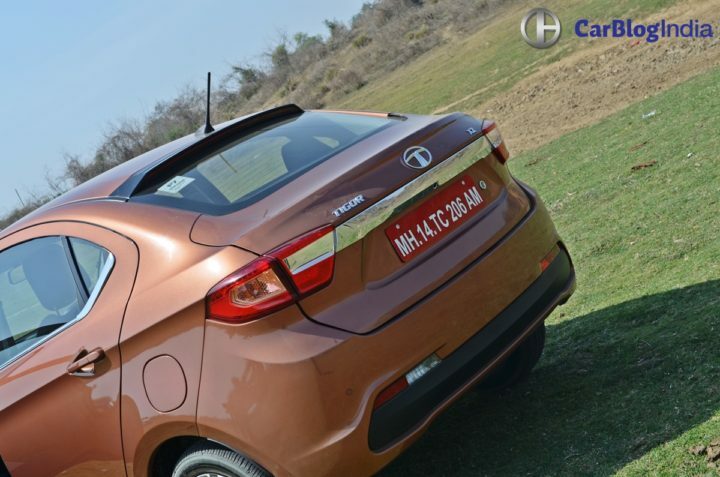 Stay tuned to Car Blog India for a full Tata Tigor review with test drive report. Bookings are currently underway for a token amount of Rs. 5,000. 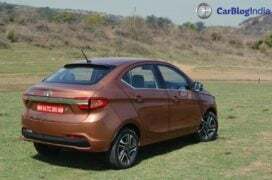 Also watch this space for news, launch date and price list of Tata Tigor.